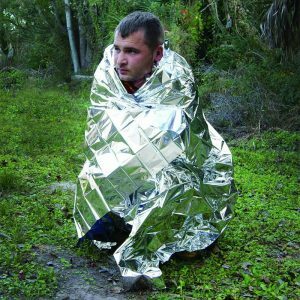 This hiking mattress is most popular with hikers seeking to reduce both baseweight and volume. A re-engineered material allows a reduction of 70g from our original model. It also has a smaller packed size than our other mat. Comfort is not compromised in any way. The comfort is amazing at 50mm thickness, even if you’re a side sleeper, grounding is eliminated. This is a full-size mat at 183cm x 56cm (it is not tapered, mummy, skeleton or 1/2 size). It weighs just 400g and rolls very small into a carry bag (about 27cm x 5cm dia). Yes, we post to PO Boxes and we utilise tracking for total peace of mind. We’ll process your order very quickly so that our partners at Auspost can do their thing. 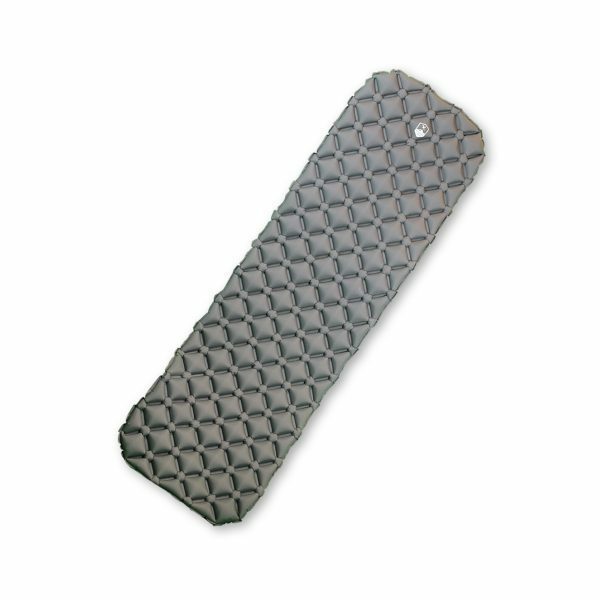 32x Control DAPS (Located on the edge of the pad, they aim to keep your body and sleeping bag in the correct position) BUT THEY WON'T STOP EVERYONE !! With 207x Dynamic Assistive Pockets working in unison, they provide you with maximum sleep comfort. The pad will instantly respond to any movement, equalising the internal pressures to suit each user. 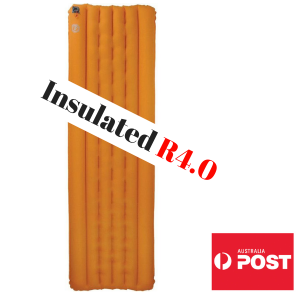 The pocket density range of 200-250 per mat was selected as this provides high comfort and better vertical clearance to maximise insulation rating on those colder nights. This range also tends to be more forgiving with lighter users, who find the 400+ pocket density can feel too firm. Sleeping under canvas (or nylon nowadays) is one of natures gifts - but so is a decent nights sleep! For some, the addition of a mug of hot coffee and access to Facebook makes the experience complete. However, interrupt that sleep pattern through coldness (we're talking "shivers-to-the-bone") or simply feeling every lump under your body (yes sometimes those ground rocks are everywhere). Well... when that happens your daily functions suffer and it starts pretty quickly. A Pocket-spring mattress is great at home but try to bring them out bush and the luxury your dreaming of turns into a pipedream. The team at K2MG discovered that finding a realistic alternative to this issue was harder to solve (at least in Australia) so we committed to finding a solution an invested our time designing a better sleeping pad. 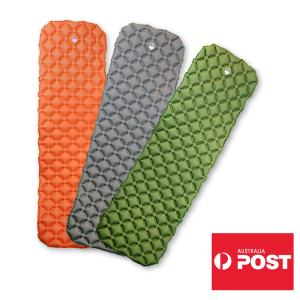 Our customers don't want to spend $100's on a sleeping pad, they also want lightweight equipment. 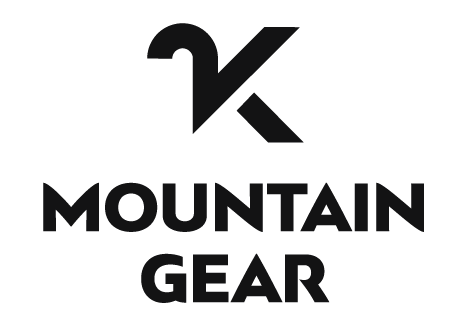 Additionally, they have little interest in 'Extreme' gear for climbing Mount Kosciuszko in the peak of winter. 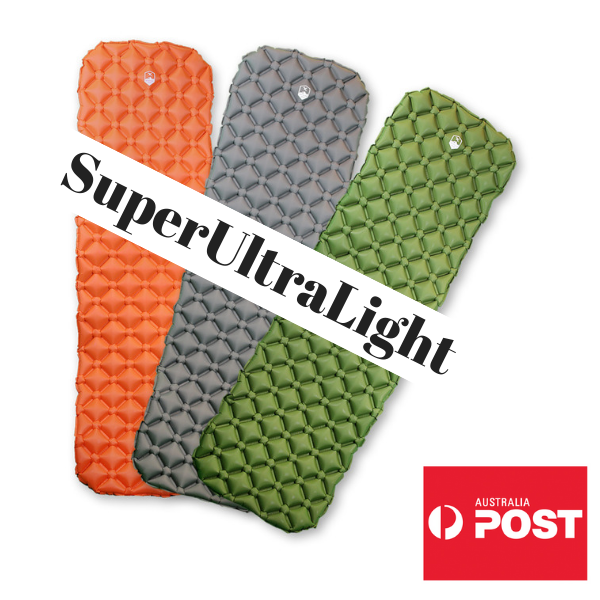 So, we supply sleeping pads that suit the Australian Climate across 3-seasons (not the times of the year that are too cold for most). Our sleep pads are not the traditional 7-8 tube/baffle airbeds that many of us grew up with. New technology, manufacturing skills and materials has presented an opportunity for major improvement. With over 200 pockets deforming individually, instantly adapting to your body shape and movement, they provide around 90% contact area and equalised pressure distribution. NO MORE GROUNDING!! "I THOUGHT THAT THE PACKET CONTAINED A 3/4 LENGTH MAT, I WAS WRONG IT WAS FULL-SIZE"